Cadet Zachary Freeman, a junior studying criminal justice, stays focused on earning good grades after earning a three-year IUPUI Army ROTC scholarship. He competed with other qualified candidates for the campus-based scholarship program, which has strict qualification standards. 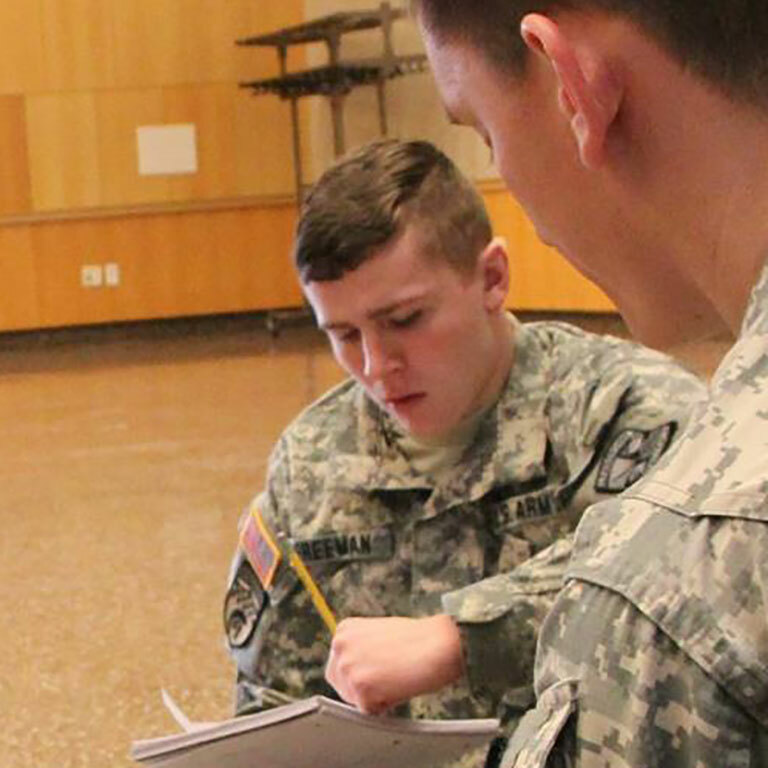 Cadet Freeman says paying for college will be easier thanks to the IUPUI ROTC scholarship.